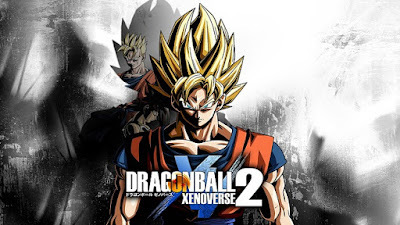 Dragon Ball Xenoverse 2 is a fighting role playing video game developed by Dimps. Dragon Ball Xenoverse 2 is published by Bandai Namco Entertainment & the game was released for PS4, PC Windows & Xbox One on 19 September 2017. It is a follow up to Dragon Ball Xenoverse that was developed for PS4, Xbox One & PC Windows. Dragon ball Xenoverse 2 allows you to choose from 68 playable characters. 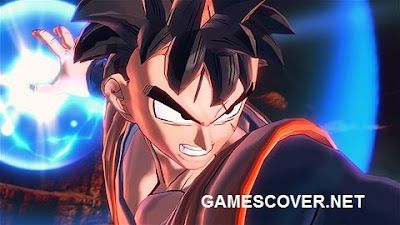 Dragon Ball Xenoverse 2 gameplay is similar to its ancestor as it is mostly set in a series of 3D battle arenas. The game is set in Conton City that is 7 times bigger than Toki Toki City. Heroes are allowed to freely traverse this new hub world & in few regions they are capable of flying around, however this feature will not be available in the start. Heroes are capable to travel to other hubs. The game includes player customization & it is the 4th game that contains this feature. Players are able to choose b/w five races including Humans, Majins, Saiyans, Namekians & Frieza's race. Xenoverse 2 features race specific missions & transformations. Players have a major role in the story as they have to make several important decisions. The game multiplayer servers allow three hundred players at the same time. As history is being attacked & changed by evil intruders, you will become Time Patroller to save the history & the future of the Dragon Ball world. Dragon Ball Xenoverse 2 includes new & most powerful opponents from Dragon Ball movies. They will try their best to achieve their wicked deeds. You will gather an army in a huge town known as Conton City. 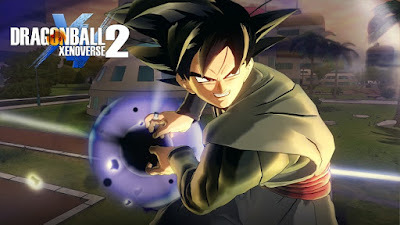 Dragon Ball Xenoverse 2 story begins 2 years after the events of its first part, the player gets a specific quest from Elder Kai which requires correcting history after it has altered. On their journey, they meet the Supreme Kai of Time, a diety who watches over time & her bird Toki Toki. They get a new quest from Elder Kai, which is to correct Goku’s battle with Raditz after he’s been enhanced by dark magic. Meanwhile, Towa & Mira, the two people who have caused history to change have gathered allies. Conton City is seven times larger than Toki Toki City from the earlier edition. Three hundred players can play the game on single server & all heroes can undertake missions, enter fights & more in the City. Unlike the earlier game, players can now fly in few regions of the hub world. 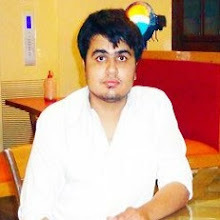 Players can also acquire hoverboards used for travelling. New players & boss battles, including several characters from Dragon Ball Super. Players can play mini games throughout Conton City. Dragon Ball Xenoverse 2 will not run on your pc if it does not meet minimum requirements. For best performance make sure your pc meets Dragon Ball Xenoverse 2 recommended requirements. Watch Dragon Ball Xenoverse 2 full game walkthrough (No Commentary).